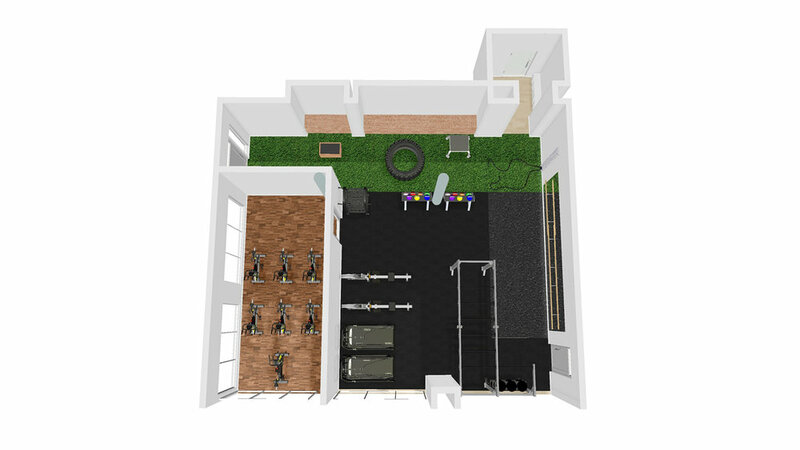 We are an Onsite Fitness company who also designs fitness amenity layouts, provide fitness equipment, and offers personal training, group classes, and events. Gym Studios will have a specific strategy to engage your residents and tenants based off the demographics and number of units in your property. We use this plan to increase resident retention and increase occupancy by engaging and building community through fitness. This enables an atmosphere for the property that is extremely professional, organized, and functional. Our operation has multiple levels, from just fitness classes to full-time service at your property with unlimited personal training, fitness classes, events, and property management. Who and Why are we? The fitness world is a $27 billion/year industry. Onsite fitness options for residents has become a standard, not a luxury. We focus on how to bring fitness to apartments, exclusively. Managing and operating group fitness classes in a conventional gym is very different from an apartments environment, and this is our world. We are an easy leasing tool in tours. We connect with residents and build retention. We bring marketing to your property with guests to our classes and the option to train non-residents will bring prospects and interest to your communities. Group Classes: First, we survey your community. Second, we create a costumed tailored fitness calendar. We offer any class, style, and cater to any fitness level. Seminars/Workshops: Our trainers are highly educated and offer monthly gatherings where they can educate your community with deeper content like nutrition or mobility. Free Private Session: Every single person in your community receives a complimentary session. This can be used as a gym orientation or a proper assessment into a personal training program. Onsite Personal Training: Our strongest element are our trainers. Offering private, discounted training to your residents a unique element. Equipment and repairs: We create layouts, we are fitness equipment dealers, and we can assist in repairs and maintenance to your gym. Experts in using apartment environments: Since we don’t have a “brick in mortar” gym, all we know if apartment environments and how we can turn any space into a fully functioning boutique, dance, yoga, or H.I.I.T studio. Our trainers are hired and trained for this specifically. Fitness Professionals: Our trainers go through 30-days of training before they start. They are nationally accredited. They are passion 1st and career second. We care about your community and we show that through who we hire for your property. We are a turn-key-solution for fitness amenities: We are able to adjust class schedules as often or as little as possible. We can provide anything from treadmills to TRX. We can provide any style trainer. We can assist in the service of equipment repairs. We host resident socials and fitness challenges. We increase property value, leasing velocity, and resident retention: Probably the most attractive component of contracting with our company is that the return on the investment. We will bring you leases, attribute to your renewals, and your overall equity will be held at a higher standard. What Are Some Survey Numbers? We have surveyed residents at various properties and have gathered data on how Gym Studios has a positive impact on investment. Is Fitness part of their life? Out of 641 residents we randomly surveyed, 95% said yes. Is the Gym/Gym Services Part of the reason they Signed a lease? Out of 641 residents we randomly surveyed, 59% said yes. Is the Gym/Gym Services Part of the reason they Renewed a lease? Out of 641 residents we randomly surveyed, 63% said yes.